In 2001 when the import scene was really hitting its stride I was out there purchasing products and dealing with shops as a customer just like you. My first build was an 89 white CRX with a turbo ZC motor, full paint- the entire works. I spent every night and every dollar on this car, eating at Taco Bell and off of the 99 cent menu at Wendy’s to save cash to get the parts I wanted. I had to deal with guys on eBay and message boards and local shops that just wanted to make a buck off of me. I got tired of getting scammed and even more tired of getting parts that were of low quality, didn’t fit and had no thought put into them. So together with a few close friends we started to take things into our own hands. We began working on our cars and doing side jobs all the while throwing around ideas for how we would make current products better and how we could get our cars to go faster. After countless B-series swaps we decided to do something unheard of at the time (2002) a Kswap. We figured if Honda took the time to develop an entirely new engine (K-series) we should take the time to check it out. We liked what we saw. Realizing that there were no parts to make this swap happen and no shops that we could call we decided to start developing parts for K-series swaps. In 2003 we purchased the domain name HYBRID-RACING.COM and registered as a company and with the money we had been saving from doing local swaps we managed to score a small shop to work out of. We were a bunch of teenagers and we set out to change how shops dealt with customers and to develop products that made you step back and say “wow”. We were the first company to release EG mounts, plug and play harnesses, AC kits, shifter cables, fuel line kits, clutch lines and a ton of other Kswap parts. We supported message boards and gave back to the community with our time and money, researching new products to make the swap more cost effective, cleaner and easier. We created a shop that you could call and just ask questions with no strings attached; no dickhead attitude, just a simple ‘Hey. How are you doing and how can we help?’ You see, we know that you are doing your swap with a buddy in your garage or maybe your just tweaking your setup to get ready for a race and inevitably you have a few questions and who else to call but the guys with experience, right? 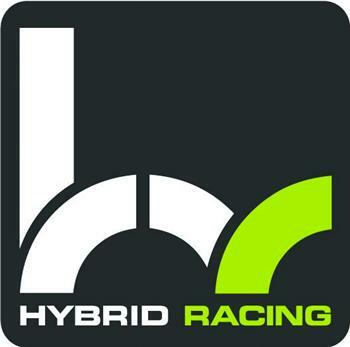 So that is HYBRID RACING up until now! We have a ton of new product ideas and we still have the laid back ‘customers come first’ attitude. You have probably noticed on the message boards how quick we are to respond and that we always take care of our customers no matter what.